BUYING CONTENT FROM PEREGRINE RECORDS AND WHAT YOU ARE ALLOWED TO DO WITH IT. a. 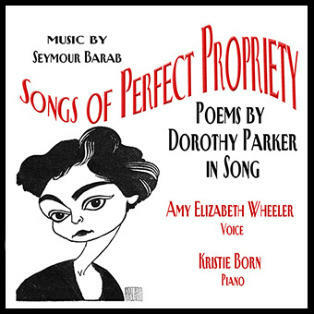 Songs of Perfect Propriety is herein refered to as the Album. You as the consumer agree to follow the applicable laws for protecting copyrighted intellectual property and you will not illegally copy, sell, share, or otherwise exploit the Album in any manner. Violations of US Copyright Law will be enforced to the full extent of the law under the jurisdiction of the state of Massachusetts. b. You understand and acknowledge that listening to the Album may require the use of other hardware and software products (e.g., the ability to burn copies of the Album on a CD and load tracks on digital player devices), and that you are responsible for procurement of such hardware or software. Once you buy and have successfully downloaded the Album content, Peregrine Records has no liability towards you in the event of any loss, destruction, or damage. c. You acknowledge that your use of the Album is limited to your own personal use and the Album shall not be commercially exploited by you in any way as referred to in letter a. of Terms & Conditions to which you will agree at the point of sale before paying with PayPal. d. Burning CD’s or exporting files are only to accommodate the sale as a digital download and does not grant you any rights whatsoever to the copyright owner’s content, sound recording, underlying musical composition, or artwork contained in the Album. e. You agree that your purchase of the Album confirms your acceptance of and agreement to use the Album only in accordance with the Terms & Conditions, and that any other use of the Album may constitute copyright(s) infringement. f. All digital download sales are final and non-refundable. Any exceptions will be at the discretion of Peregrine Management. g. Shipping is free for the CD using USPS Standard within the United States only. RETURNS FOR CD PURCHASES We will accept a damaged or defective CD, returned within 30 days of receipt, and replace it at no additional charge. Please include a copy of the invoice with the CD when returning it or contact us at info@peregrinerecords.com and attach invoice to email.